We don’t have a video for you all today, because we are all sick and unable to focus very well. But, as we posted on Friday, we’ve just started the Marvel Movie Challenge. 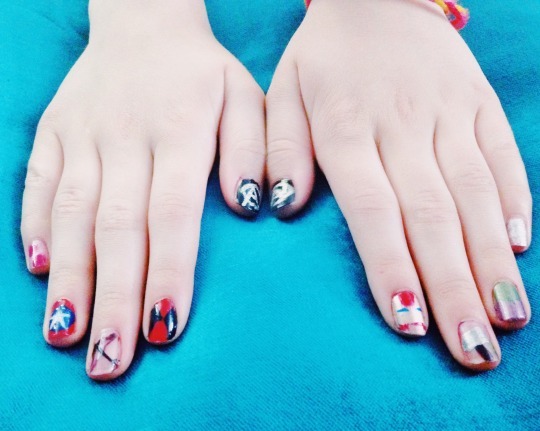 So we’re showing you some pics of a past mani look that I did for Alexia’s nails for the Avengers: Age of Ultron premiere. 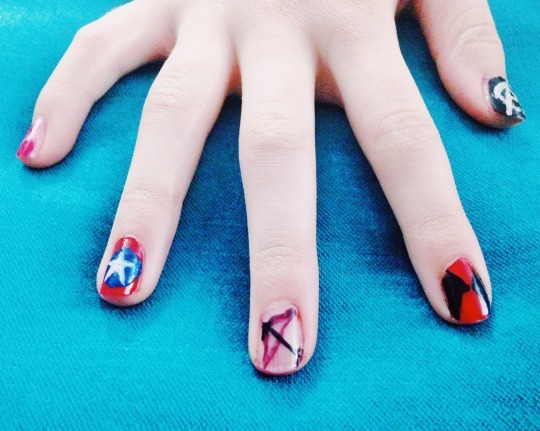 She wanted to represent each Avenger, so we did a nail for each Avenger and her thumbs were the Avengers logo. I’m going to say straight up, looking back at these pictures is a little difficult. 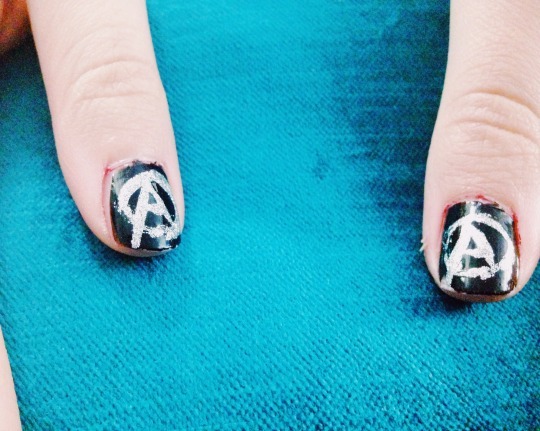 I am not the nail artist that Alexia has become, and you can see where I just didn’t do the best job. The thumbs make me crazy, because they’re so jinky. Also, this look took forever! We were sitting at the table for close to an hour and a half. (Like I said, I am not in the same category as Alexia.) She loved them though, so it was worth it. 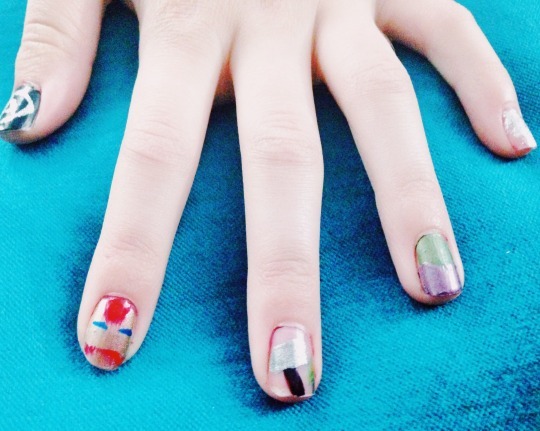 So, check out the pics and let us know – what are some geek nail looks you have done for movie premieres?